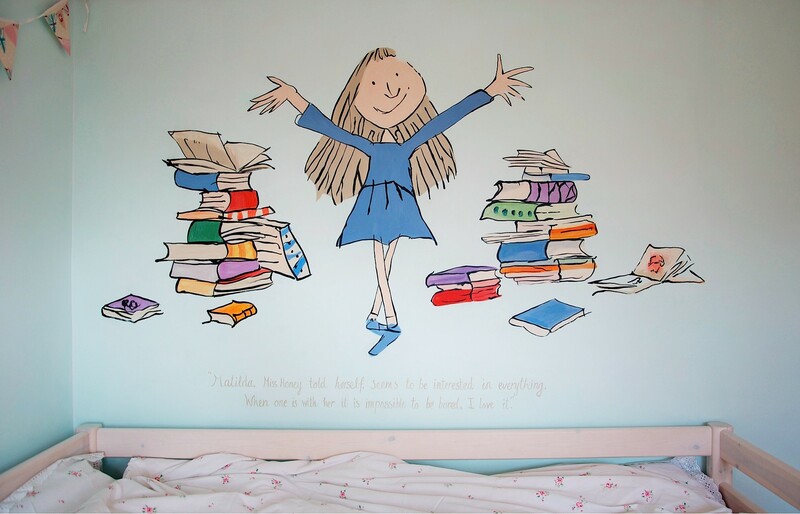 Matilda mural is a painting from the Roald Dahl book Matilda. 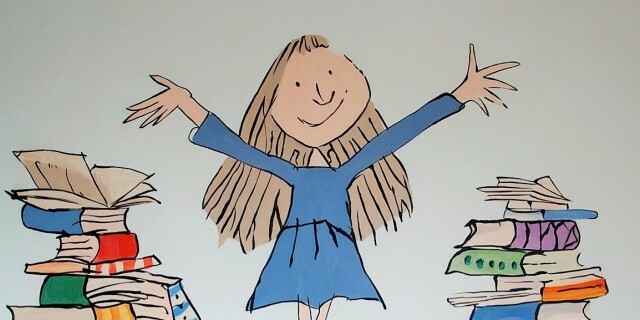 Characters from books and films make great subjects for children’s murals. Themes from classic children’s books and films are good choices as they remain popular. 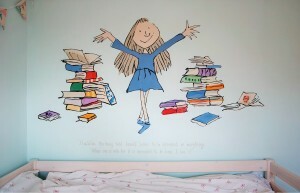 This Children’s Matilda mural was painted directly onto the original wall colour, making it a quick mural to complete. it ran along the length of the bed, creating a great focal point for the room. Children’s murals painted simply like this, with flat colours and no background, are an economical way to transform a child’s bedroom or playroom. This particular mural was completed within a day, simple murals such as this can usually be arranged without a prior visit. If you have a clear idea of what mural you would like I will often be able to give you a quote by email. Please contact me with any enquires.